This 24 LED projector was designed to be mounted on the ceilings of gas stations, in the proximity of the gas pumps. 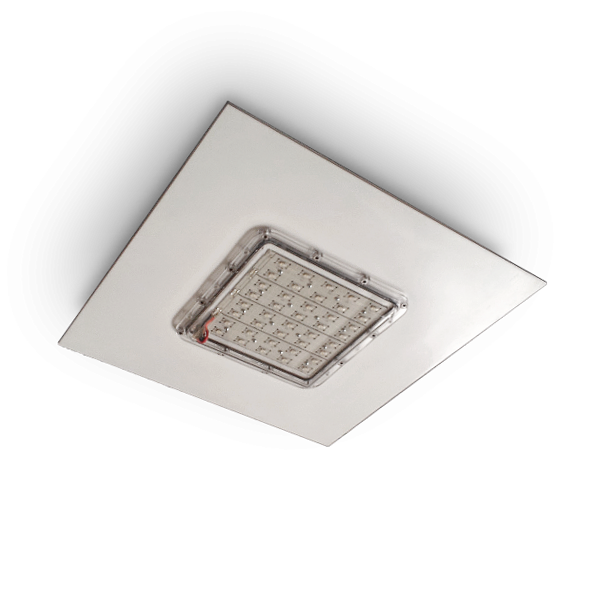 The fixture is mounted on a powder coated aluminium sheet. Mounting is done by embedding in the ceiling. The aluminium sheet can be adjusted.